Digital photography is now within the reach of nearly everyone. We even have cameras in our cell phones. The next logical step is to make our own prints. Ink jet printers are readily available and many are inexpensive. With a digital camera, a computer and an ink jet printer, you have the ability to create photos, manipulate them as you wish and print them out for sharing or display. Set up your monitor in subdued light with no direct light hitting the screen. Go to Start, Control Panel, Display and under Settings set the display to 24 or 32 bit. Set the contrast to maximum. Adjust gamma and brightness using a gamma correction chart. View a test image with skin tones and color charts on the monitor to see if the image looks good. If it does, go to “Making the Print”. If it does not look good, calibrate again and test again, until you get a good image on the monitor. Connect the camera to the computer. Navigate to the photo folder, select the photo you want to enlarge and drag it onto the desktop of the computer. Open your image editing program and import the photo. Use the tools in the image editing program to adjust the photo for color and brightness. Crop the photo, if necessary, to the 8 x 10 format and set the resolution to 300 dpi. Click the “print” button and the print dialogue will open. 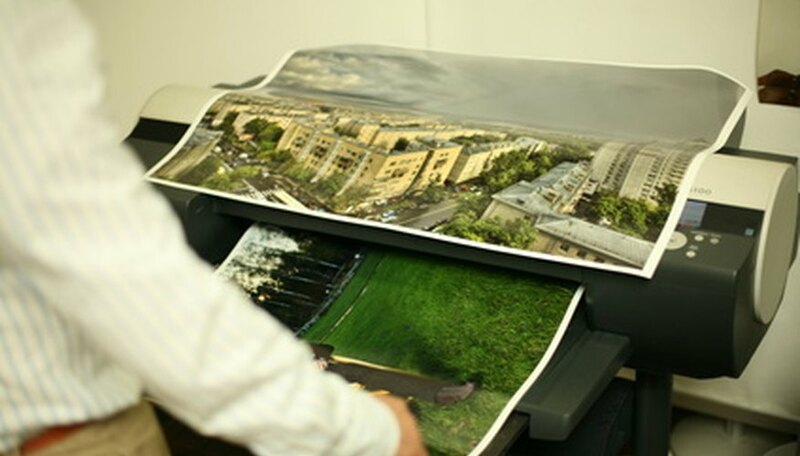 Set the printer preferences to “photo.” Select the type of paper you are using. Select “portrait” or “landscape” and make a print. Allow the print to dry for 30 minutes. Hold it next to the monitor and see how closely it matches the photo on the screen. If it is a close match, your system is good for home printing. Norman Koren Photography has good color test prints and gamma charts you can use. LCD monitors should be calibrated at their “native” resolution. Using any other resolution can cause serious problems and make it difficult to calibrate the monitor. You can find the “native” resolution in the owner’s manual. Good image editing programs abound. “Paint.NET” and “Gimp” are two free programs that are more than adequate for the home printer. Working from Winnipeg, Canada, Len Harris has been writing online since 2005. He writes on many subjects, from adult attention deficit disorder to photography. Harris holds a Bachelor of Arts and a Bachelor of Education from the University of Manitoba.